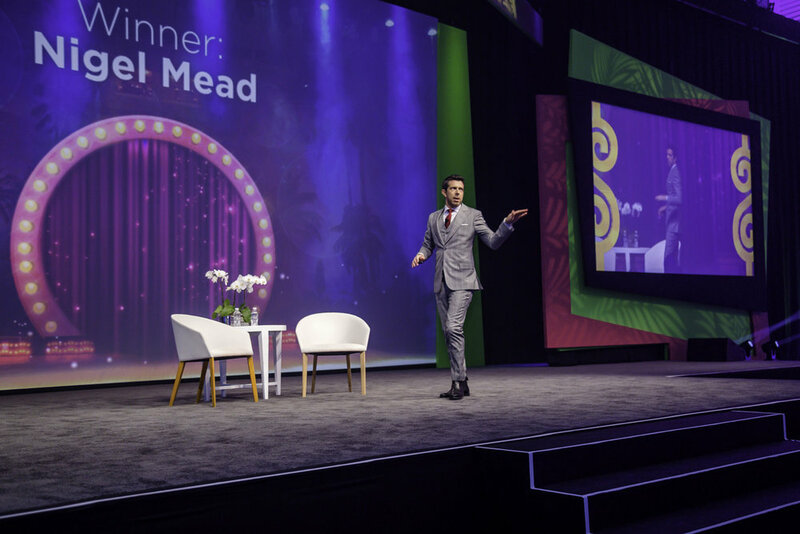 A Global Audience of over 900 people flock to Vegas (or somewhere equally glamorous) for AMEX’s annual global business travel event – Pacesetters – every year. Attended by staff and sponsored by some of the biggest blue-chip companies in the world, it’s a 5-day event where the glitz has to be turned up to 11. I was brought in to consult on the creative theme and tone of Pacesetters 2018 during the six-months lead-up to the event. Once onsite, I acted as host for the entire 5 days, from opening night to general sessions to the showcase and gala awards dinner, performing various entertaining and engaging segments including pre-recorded content which featured as a backdrop to the programme in various locations and on various screens throughout the week. Working closely with AMEX’s UK/US based production company and directly with the client-events team, I wrote all my own scripts and content, including the event’s opening sequence. 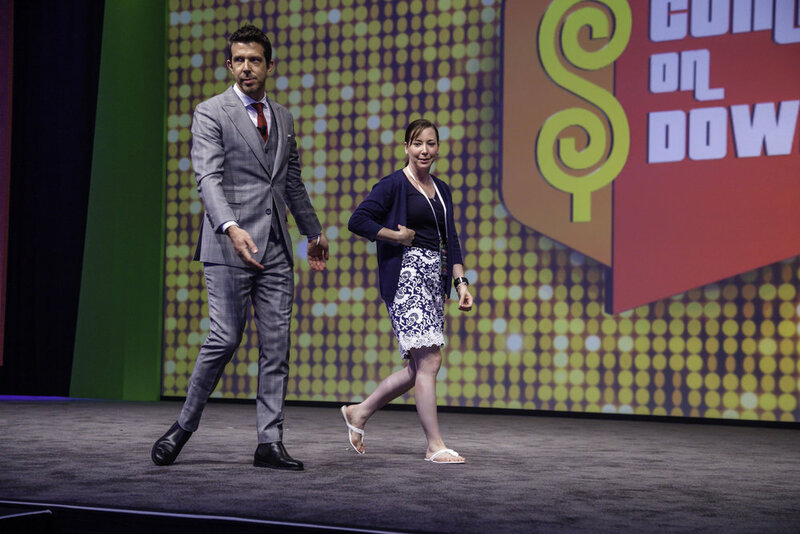 Having hosted at Pacesetters for 7 out of the last 9 years, these opening pieces have included everything from Jimmy Fallon style chat-shows, to flash-mob surprises, pre-recorded mixes with live interaction sketches and magical illusion live on stage (including the company president and leadership team appearing out of nowhere one year)! Throughout the entire event, I worked with a local film crew shooting entertaining content to be played out during the general sessions and often performed as the featured act at the Gala Dinner. It’s a fantastic show that I (and I hope the audience), look forward to each and every year. I was first approached to host Pacesetters in 2009. So hosting it in Prague next year will mark my tenth year at the show’s helm - a great honour. And as far as results go, an incredible one for me!